We're offering a share in all the best food grown right around here: seasonal produce, grass-fed dairy, farm eggs, organic grains & pasture-raised meats. 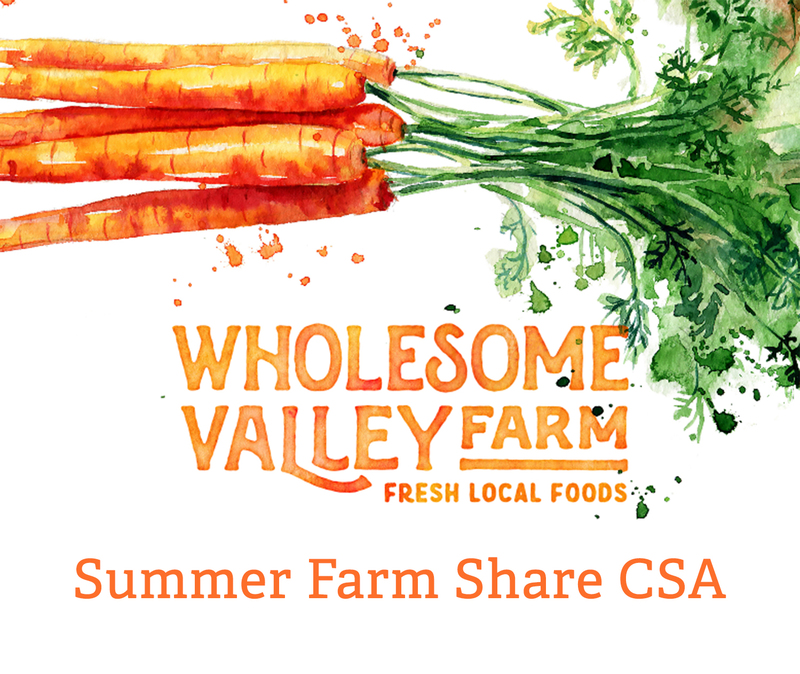 The Farm Share runs June 7 through October 26 (22 weeks). Each week we'll send you an email with what's coming in your share-- it's different each week based on what's being harvested! If you have an allergy or food restriction, just let us know when you pick up and we'll give you a substitution. If you have any questions, please email thebarn@wholesomevalleyfarm.com or give us a call at 330-359-2129.